For information pertaining to becoming a member of both Gascoyne Water Co-operative Ltd (GWC) and Gascoyne Water Asset Mutual Co-operative Ltd (GWAMCO) please refer to the "Qualifications for Membership" outlined in the respective co-operative Rules. You can download a copy of both sets of Rules by going to the "DOCUMENTS" menu on our website. If after consideration of the "Membership Qualifications" you consider that you qualify for membership, membership application forms can be found under the "DOCUMENTS" menu on this website under "FORMS". See forms entitled "GWC Membership Application Form" and "GWAMCO Application for Membership". 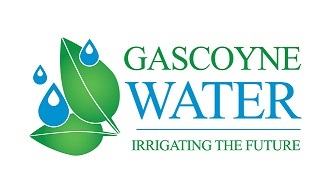 For additional information please fee free to contact the Company Secretary, Lisa Hodson on (08) 9941 4488 or lisa@gascoynewater.com.au. If you are purchasing an existing Intensive Horticulture Zoned property which already has a GWC water allocation and connection, your Settlement Agent usually handles all the necessary application and transfer forms the co-operative requires so as to process the transfer.